← Looking for a Thrilling Read? Have you ever wondered? Hey, how’d they do that? One of the most difficult and scientific parts of reconstructing a shooting incident is to determine the direction of the projectile travel and the angle of impact by examining the bullet holes that were left at the crime scene. The projectile hole at the impact site must be identified as bullet hole before continuing with the investigation and examination. There are many things to consider, such as entrance versus exit, entrance angle, and direction of travel. All of these clues will help investigators to know what exactly happened and hopefully bring them to the person responsible for the crime. There are many important aspects to consider in this type of dogged investigation. For example, if glass was involved because of a bullet that had been fired through a plate glass window or a car windshield, the investigator must be familiar with each of the results it left behind. Depending on the type of glass, it will directly result in the type of fracture it left behind. Plate glass usually leaves a cone-shaped fracture. Tempered glass, which is generally much stronger and thicker, can leave many small cubical or rectangular-shaped fragments. Laminated glass will give more of a crescent shaped fracture that resembles boat-shaped waves. The determination of projectile paths will help investigators learn what actually happened at the shooting incident. There are two basic methods used: probe and string method and laser method. The probe and string method utilizes the use of a probe, which consists of various rod diameters, that will represent the impact and/or exiting of the bullet. It can be used to show two points of a reference or a single point of reference. 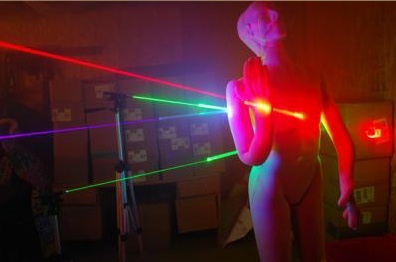 The laser method (shown in photo above) assists in longer path distances in outdoor shooting incidents. The laser device can be used to estimate the projectile path or for guiding the examiners to the most likely locations that the bullet took. Once the projectile path has been illustrated with the probe and string or laser methods, then the task of measuring the impact, any deflective obstacles, and exit angles are carefully recorded. The bullet path determinations are somewhat approximate because of variables that will affect the accuracy and precision of bullet travel. 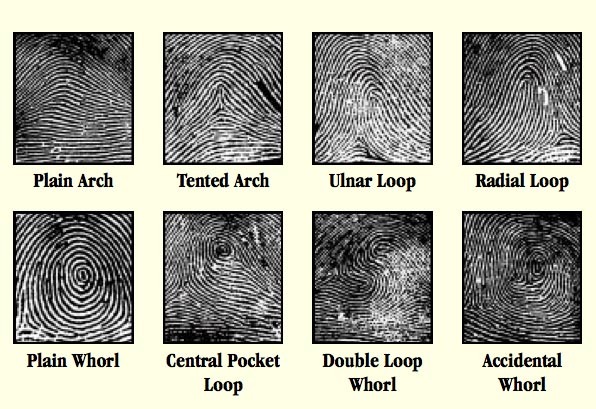 According to forensic scientists, the dynamics of bullet interaction with various materials and the morphology of holes, impact sites, and ricochet sites exhibit various predictable results. It is a general rule that the deflecting angle of a projectile striking a hard or unyielding surface, such as concrete or steel, it will be significantly lower than its incident angle. 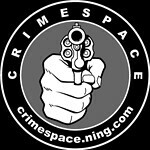 This entry was posted in crime, Forensic and tagged author jennifer chase, bullet trajectory, crime reconstruction, crime scene investigation, emily stone series, forensics, shooting incident. Bookmark the permalink.